Beit El sees new wave of construction as part of lottery for cheaper housing, the largest of its kind in Samaria. After many years without construction, the community of Beit El is set for a new building wave within the context of the “mechir lamishtaken” (“buyer’s price”) lottery program for cheaper housing. The lottery in Beit El is the largest of its kind in Samaria. 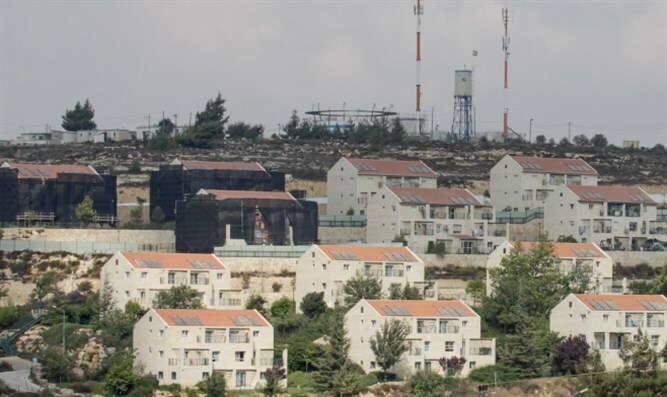 More than 140 housing units in Beit El, out of 300 that are slated to be built, will be awarded through the program, which has already set sail and closes July 14. Shai Alon, head of the Beit El local council, talks excitedly about the move. "We conducted very serious battles here after the eviction of the Ulpana neighborhood, and the construction has become a real celebration," he said. "As far as I'm concerned, there's a resurrection here, and after ten years we'll see houses, hundreds of housing units and thousands of new people." When asked whether he believes that the housing is affordable, Alon explains that "The population, which has championed the idea of ​​raising large families and giving its power to both the Israeli economy and the Torah of Israel, is receiving housing at a worthwhile price for every person. The price here per meter is 6,000 shekels ($1,650), compared to 15,000 shekels ($4,130) in other places. This means that a young couple will buy a four-room apartment here, about 120 square meters, for about 800,000 shekels ($220,000). This is tremendous news. " He adds that "Both the standards of development and of the apartments are very high and of the highest quality." As stated, the lottery will end July 14, and those interested should register now. A few weeks after the lottery is closed, the tractors will be on the ground and construction work will begin.